SMT Stencils are laser cut solder paste stencil foils permanently mounted in a stencil frame using a mesh border to tightly stretch the stencil foil taut in the frame. SMT Stencils are designed for high volume screen printing on printed circuit boards. All of our laser cut stencils provide optimum solder paste volume control. 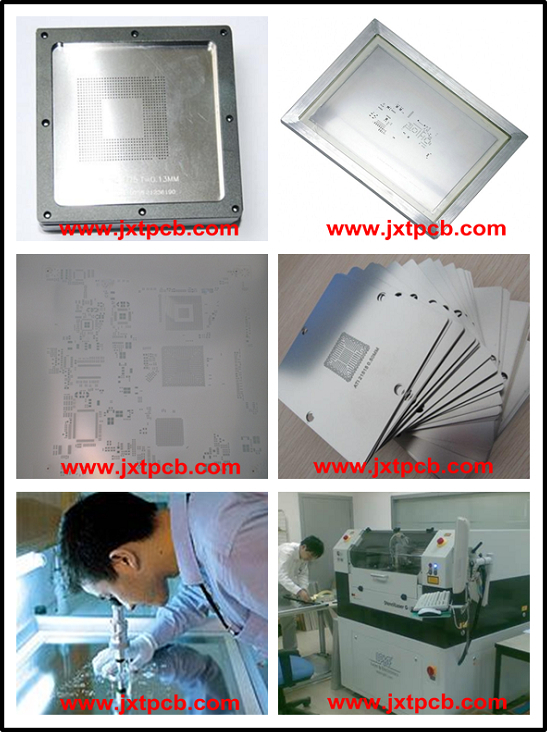 SMT Stencils have smooth aperture walls and can be used for 10 Mil pitch and below and for Micro BGA"s.
We fabricate SMT and BGA stencils for a variety of stencil printers. All Framed SMT Stencils are Double Bonded to Extreme Wear.